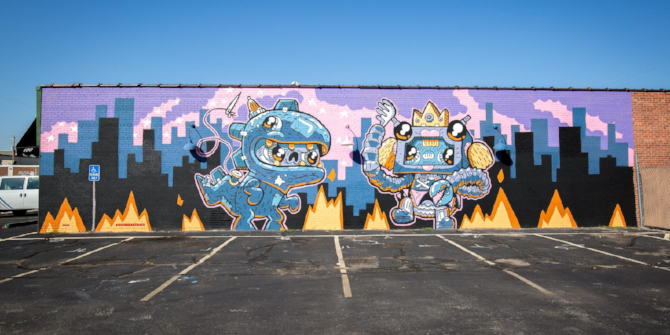 Wichita is home to more than 60 murals thanks to the Avenue Art Days initiative courtesy from the Douglas Design District. These murals not only beautify the downtown area, but also allow for local artists to showcase their inspiration while celebrating civic pride. You can also make your own masterpieces at several establishments around the city including Paint the Towne or The Busted Pallet. "When the Midwest Sun Sets"
"A Bird Not in the Hand"
"If You Know Where to Look"
"Hidden Gem Mural: Sacred Space"
The Wichita Thunder Hockey team, Champions Indoor Football League Wichita Force indoor football team, National Premier Soccer League FC Wichita soccer team and coming soon, the introduction of a new Triple-A baseball team currently known as the New Orleans Baby Cakes. 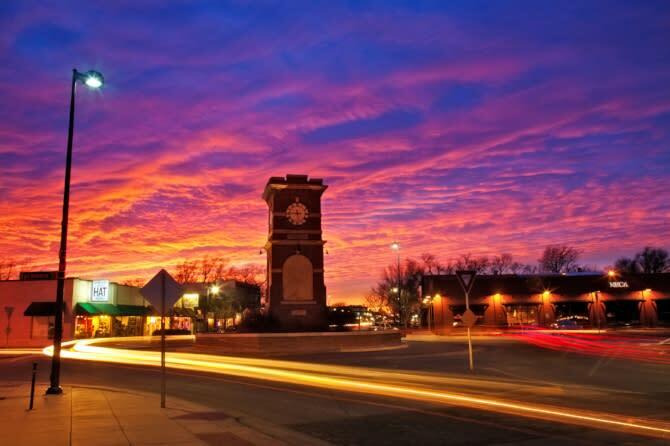 Nightlife is a big part of what makes Wichita the best place to be. 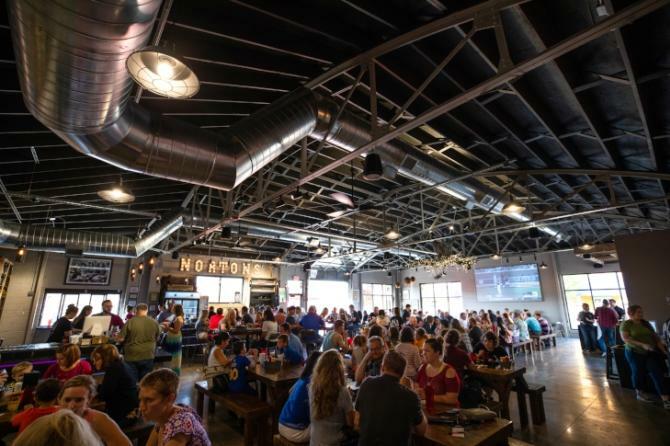 But, instead of just barhopping, check out Wichita’s 11 (and counting) breweries, all offering unique local flavors not made anywhere else. Many of our local breweries also offer full menus; others allow you to bring your own food. Wichita’s core is split up into distinct districts, each offering something different to the city. For instance, the Douglas Design District is known for its maker-feel, from urban art showcases to local businesses like The Workroom selling handmade goods. The Historic Delano District is known for its quaint shops offering specialty items like Hatman Jack’s Wichita Hat Works making custom head wear or Bungalow 26 and Zeep (z-ayp) offering eclectic goods for bath, body and home. Wichita knows good food. In fact, you can travel the world without even leaving the city limits. more than 1,000 restaurants, 200 of which lie in the city’s core, there’s something to satisfy every palate. From upscale eateries like Scotch & Sirloin, 6S Steakhouse or Chester’s Chophouse & Wine Bar to bar and grill favorites from The Hill Bar & Grill, Bubba’s 33 and Monarch, you can explore a vast array of national and international dishes. Don’t forget about dessert! Wichita is also home to a collection of sweet treats that will have your mouth watering. From coffee-infused ice cream chilled with liquid nitrogen at Churn & Burn to pastries and cakes at Founders Bakery, if you’re craving it, Wichita will deliver. 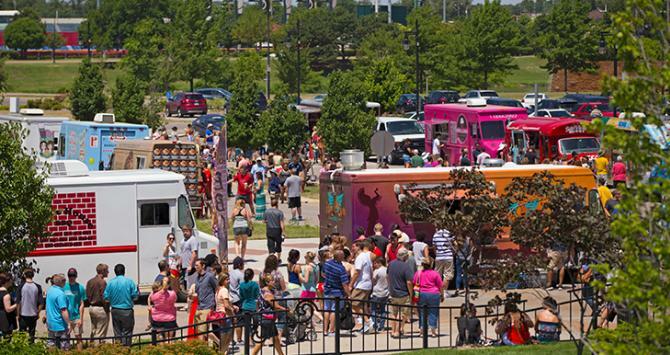 Wichita loves its food trucks and people love to show up to food truck rallies. With the introduction of the ICT Pop-Up Urban Park as the perfect lunchtime food truck hotspot to the annual Food Trucks at the Fountain at WaterWalk, there are more than 30 food truck options. Catch them at a local artisan market or food truck rally throughout the summer. Wichita is a unique city full of many surprises. One of those surprises involves beer and ax throwing. Yes, in the same place. 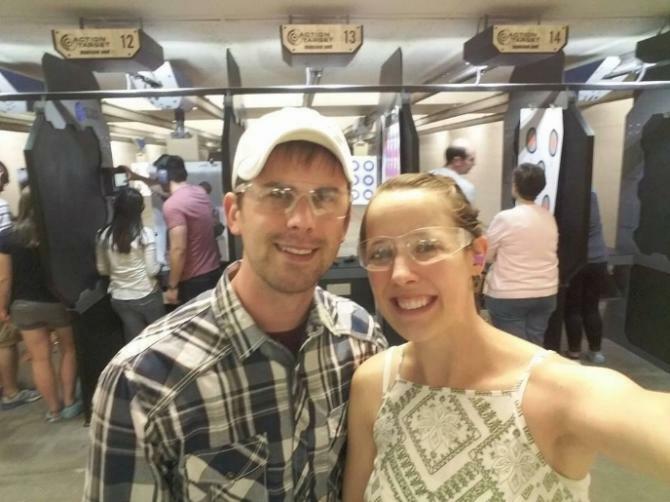 Blade & Timber is a new concept that aims to bring together a love for ax-throwing in Wichita. If shooting is more your style, stop by Range 54 for target practice. You can rent guns, buy bullets and rent an air-conditioned lane to work on your form and accuracy. Want to go shopping? How about trying the new shipping container mall at Central and Volustia. It’s called Revolutsia, and is a revolutionary new spin on shopping malls. Some don’t know that the original Pizza Hut started in Wichita by food connoisseurs, Dan and Frank Carney. 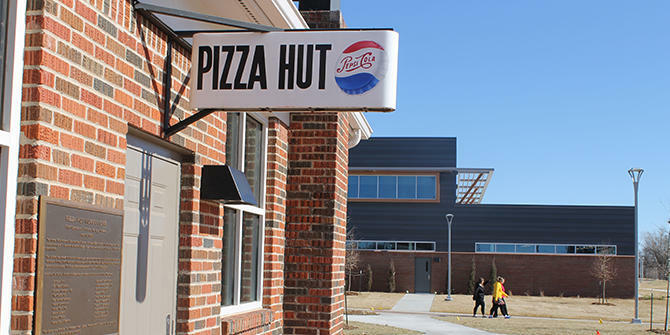 Learn about the history of the pie and how the franchise got its name at the Original Pizza Hut Museum located on the Wichita State campus. These are just some of the amazing things to do in Wichita as you experience the Air Capital of the World in all its glory. Looking for more to do? Explore all Wichita has to offer by creating your own custom itinerary at VisitWichita.com. Learn about specific events by signing up for our monthly newsletter. 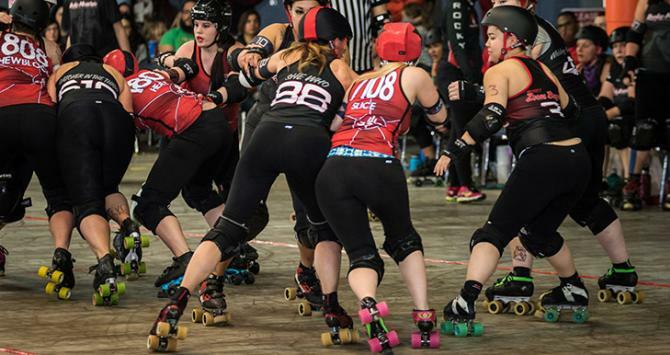 Find what’s happening in Wichita today in our calendar of events.